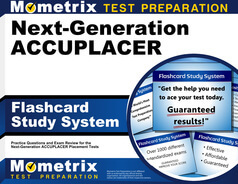 The Next Generation ACCUPLACER writing subtest is a broad-spectrum, computer-adaptive, untimed test. It has been designed to help accurately place students into classes of an appropriate level by assessing their individual capabilities of two broad knowledge and skill categories. Computer adaptive testing uses a complex algorithm in order to adjust the complexity level of your test questions as you respond to them. This results in an accurate representation of your individual capabilities without any outside influence, such as the results of your peer. 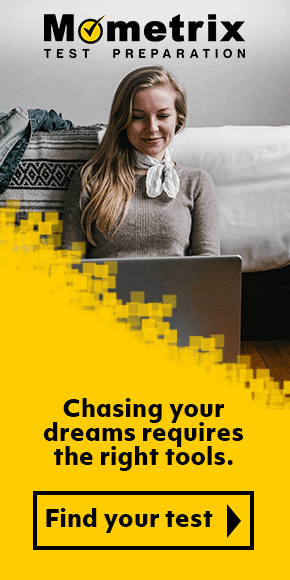 You will not receive a passing or failing score on the test; instead, you will be given a report of your performance that reflects your individual aptitude. Before being admitted to your designated test location, you will be asked to present the test administrator with an appropriate, accepted form of legal identification for both safety and security purposes. Each test center may have its own set of guidelines and rules, so as part of your ACCUPLACER test prep, reach out to your designated center to discuss questions or concerns, any necessary disability accommodations and any additional special materials you may need to bring for the test. 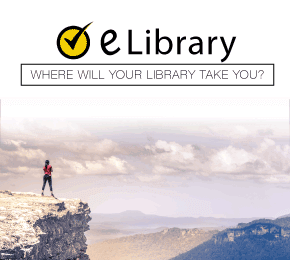 After you have met with the test administrator, you will be instructed on where to go and how to begin your test. The test will present you with a variety of writing passages and related questions. Since the test is not timed, you may respond to the questions at a pace comfortable to your ability. The ACCUPLACER writing subtest is administered by College Board. When you are ready to make an appointment to take the ACCUPLACER writing test, you will need to speak with your institution’s advising or counseling center. They will be able to provide guidance and instruction on how to register for the test, including options for remote testing when needed and available. Remote testing availability is dependent upon the institution and will require permission prior to registering for an appointment time. As you prepare to take the ACCUPLACER writing subtest, take advantage of the resources available to you in order to perform at your best. 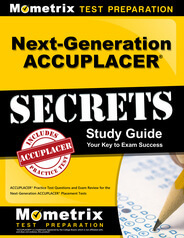 Mometrix’s free ACCUPLACER test prep and study resources include ACCUPLACER practice tests and ACCUPLACER study guides to help you review critical concepts and ideas, and familiarize you with passage types and content.